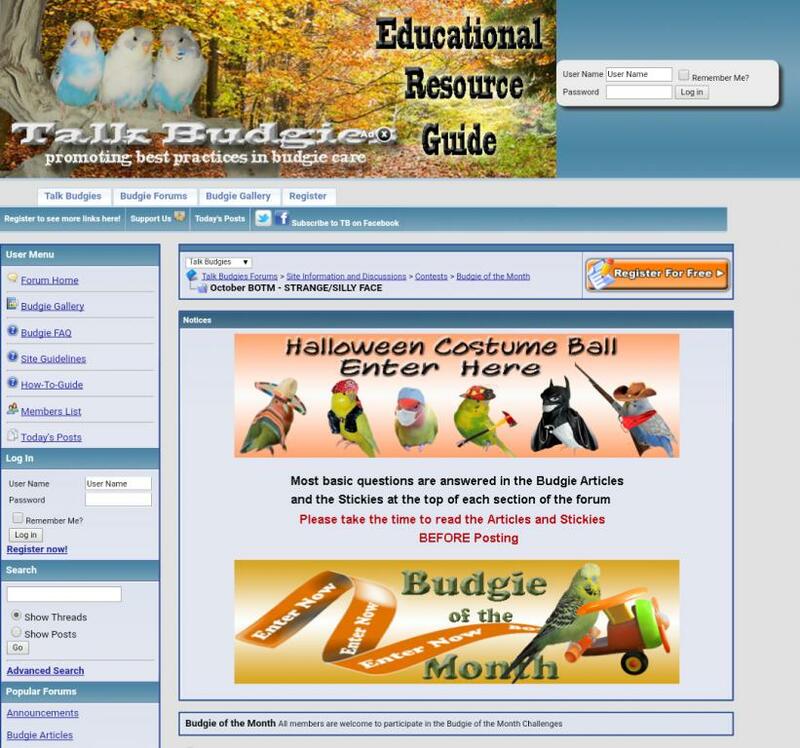 On the official talkbudgies website when you login it shows you new updates like budgie of the month information or Halloween costume ball but on the Tapatalk application there is no way of me being able to see such updates and information, any help or comments? You can switch off the advanced mobile view and it will return the site to normal viewing. You should be able to find the option to change the way you view the forum at the very bottom of the page. 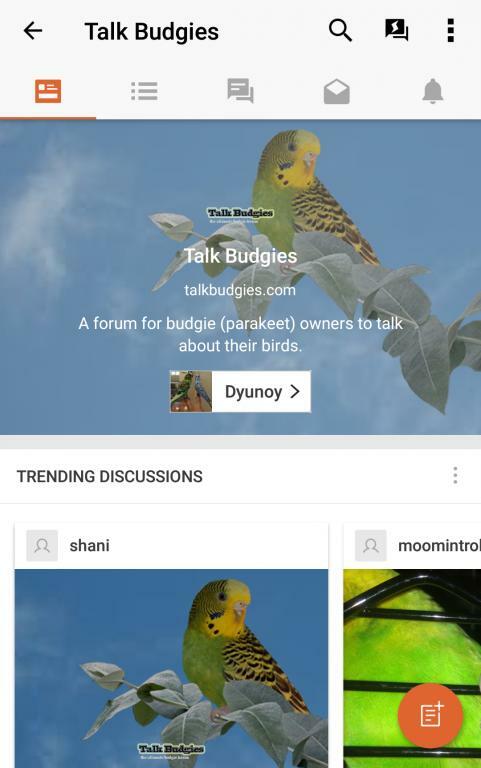 Would you please assist our Talk Budgies members with this issue? I had a look and the notices aren't coming up for me either. I don't know if this is a feature in Tapatalk. Best thing to do is go to your settings and click the "contact us" button and report the issue to Tapatalk. Have other members asked for this feature to be added? We can also submit a ticket and see if we can get Tapatalk to look into it. Yes, other members have made comments about this matter in the past. I personally don't ever use TapaTalk so I can't be much help with this. If Vertical Scope could coordinate this issue with TapaTalk for the TB members it would be most appreciated. There are limits to the amount of changes we can get Tapatalk to make, but I'll see what I can find out about this being brought up before. They don't do much in the way of individual site customization, but maybe there is a hack or something we could deploy.